Have you ever sat somewhere and just felt strangely at home? For me, it’s in a brewery sampler. 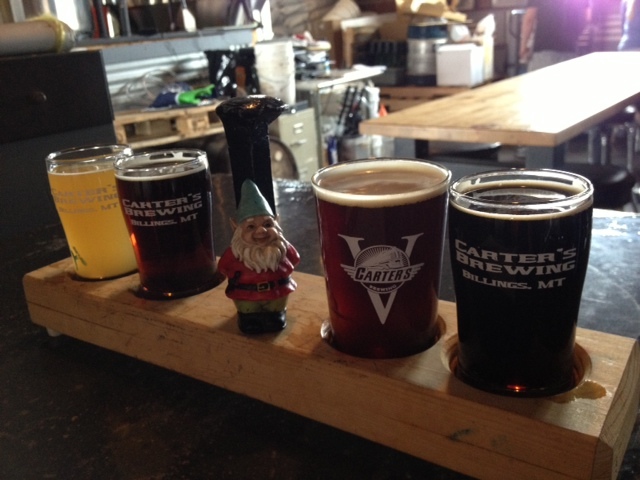 Brew flights are gnome-sized. 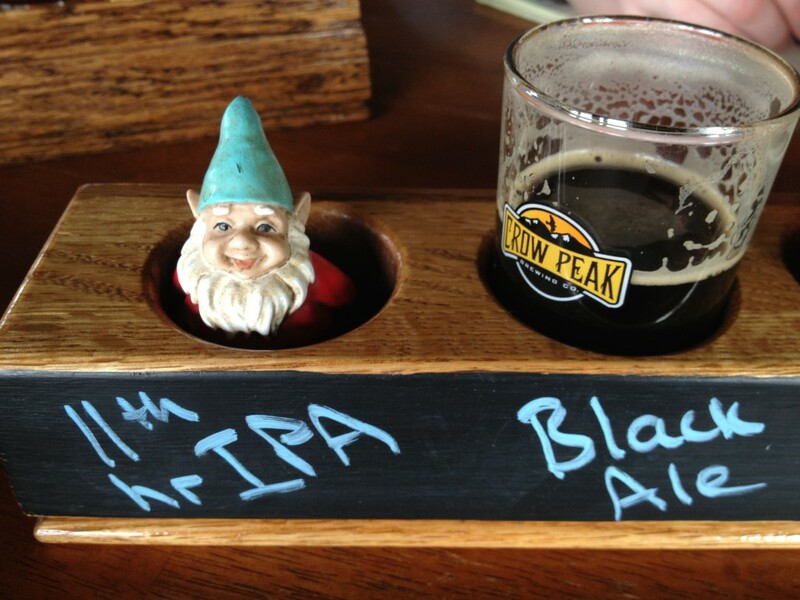 This particular flight was promptly drank on the side of the highway in South Dakota at Crow Peak Brewing Company. See how perfectly I fit in the 11th Hour IPA spot! I’m assuming you’re a human if you’re reading this blog. I don’t blame you…it’s not necessarily your fault. But just stop to think about it for a minute. A beer as big as you. Could you drink the whole thing? How would you reach the top of the glass? What would you do if you fell inside? Can you swim? It’s a lazy Saturday afternoon with annoyingly high winds across the central plains. Therefore, I have decided to go back to this brewery and find my place where I feel most comfortable. May the winds bring your over-sized boozed and everlasting enlightenment. Now somebody pass me a goddamn beer. And don’t lecture me about sunburns. 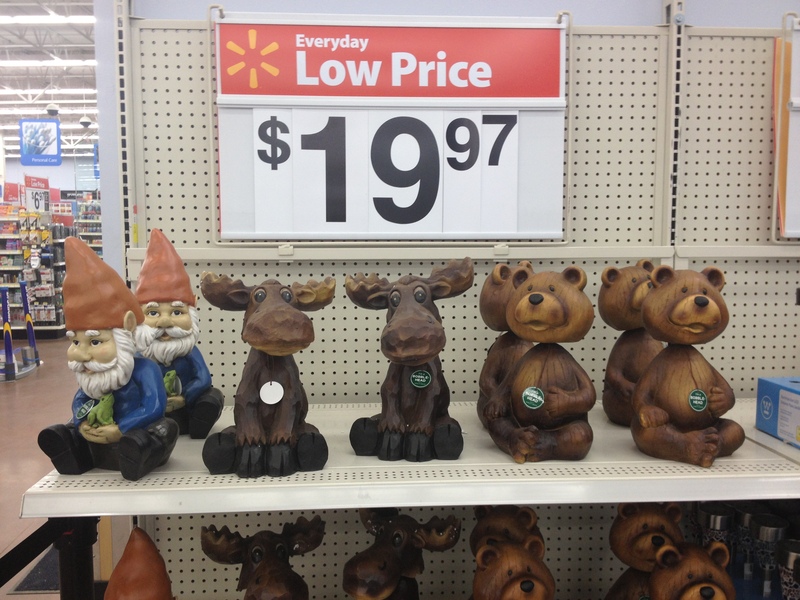 BREAKING NEWS: Travel Gnome, Sheldon, is missing a 1.5 legs! We interrupt your regularly-scheduled blog following to bring you an important message. 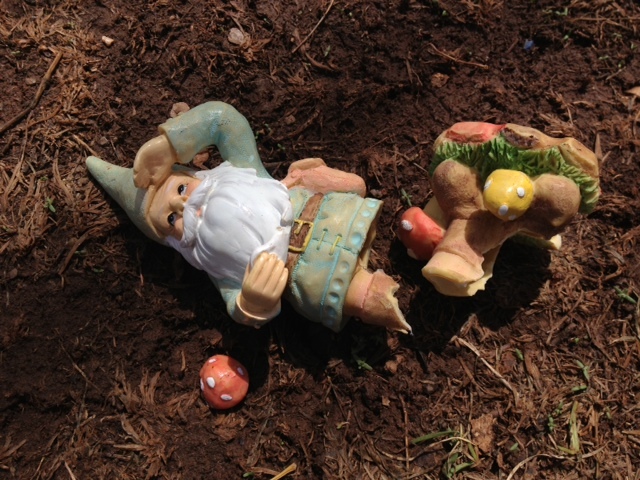 Legendary travel gnome, Sheldon, has been brutally injured in the field of travel duty. He was last spotted in one piece at the Hot Springs State Park in Thermopolos, Wyoming. The cause of Sheldon’s injury remains unknown at this time. This is particularly devastating news because Sheldon was already a victim of assault and a recovering broken limb victim. 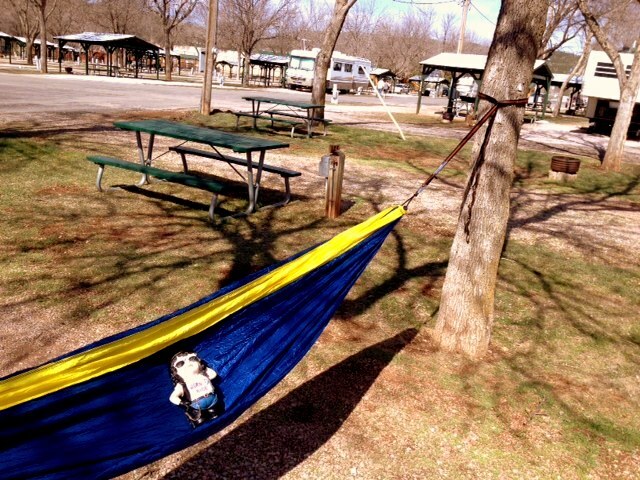 Please refer back to a July 2012 article about Sheldon’s unfortunate mishap in Austin, Texas. The trip that Sheldon was currently on has been referred to as his “comeback.” He’s been challenged by up-and-comers, Zookwinkle and Rubber. Will the comeback trip become Sheldon’s very last? Can he ever recover from missing one and a half legs? 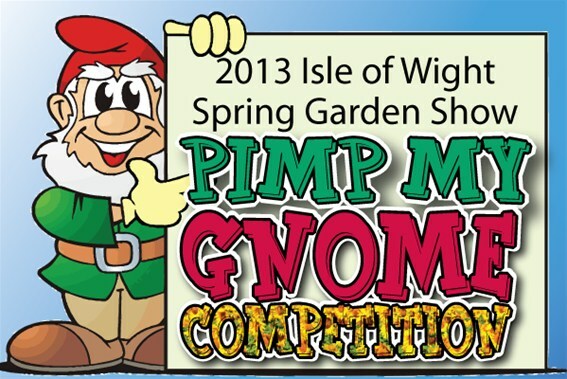 Stay tuned for details about the poor sap as they become available from Gnome General Hospital. 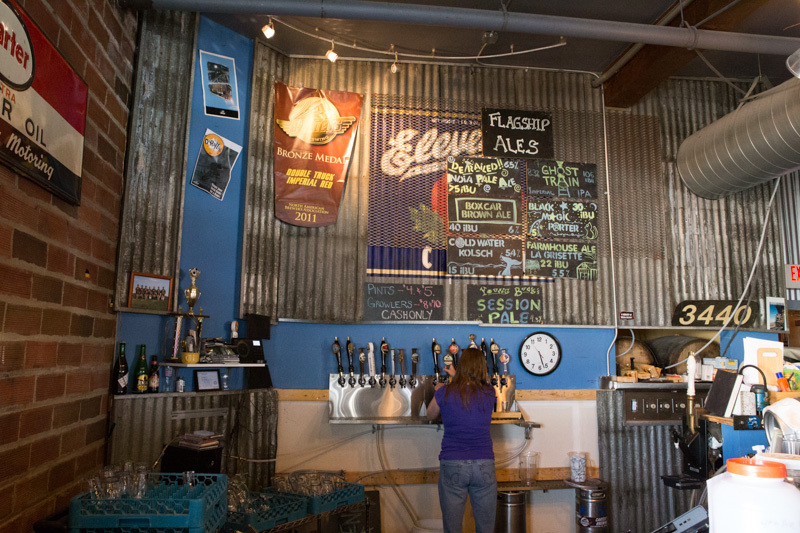 As I hinted at before, Montana has a good number of breweries. Billings, in particular, has four! I think I may have just found my dream town! 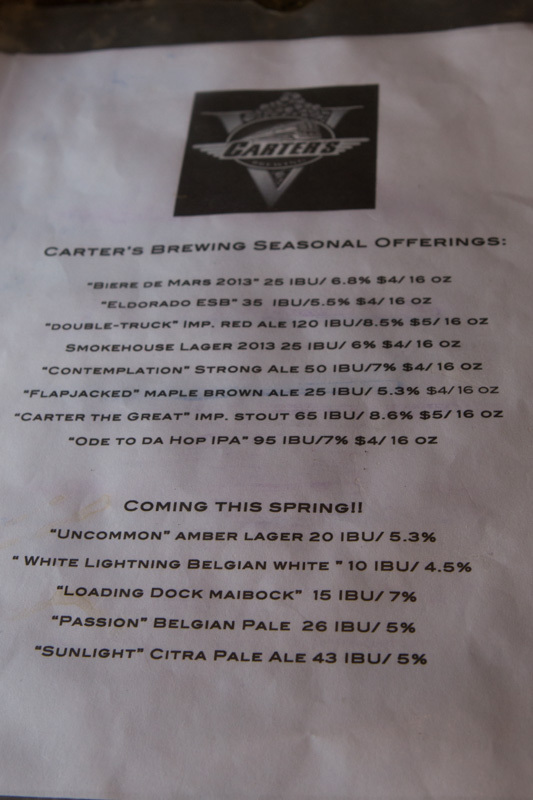 On my Billings brewery tour the other day, I stopped by Carter’s Brewing Company. I didn’t know who Carter was, so I asked. The dude on their website is wearing a monk robe and holding a baby. That baby’s name is Carter. What a lucky baby to have a brewery named after him! I must admit, I felt a little out of place walking up to the front door at Carter’s. It gave off a hard rock biker vibe and there was a metal band from Oregon setting up as I walked past them. 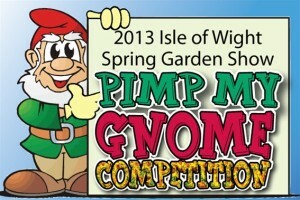 It was like they’d never seen a gnome in a bar before! Once I navigated through the drum sets, I found a casino room and a whole lot of mind-shattering noise. As typical, I bought a flight and settled in to a long table near the back. It was a pretty bare-bones kind of spot, with plenty of barrels and vats to drool over. 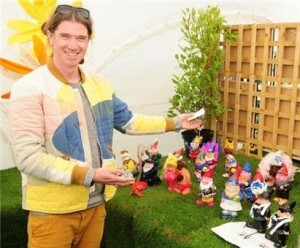 The Farmhouse was definitely my fave. Although it was somewhat standard, it was smooth and done well. I promptly bought a growler of it! To escape the eardrum-bursting noise, I scurried out the back door to take some sips near the train tracks. 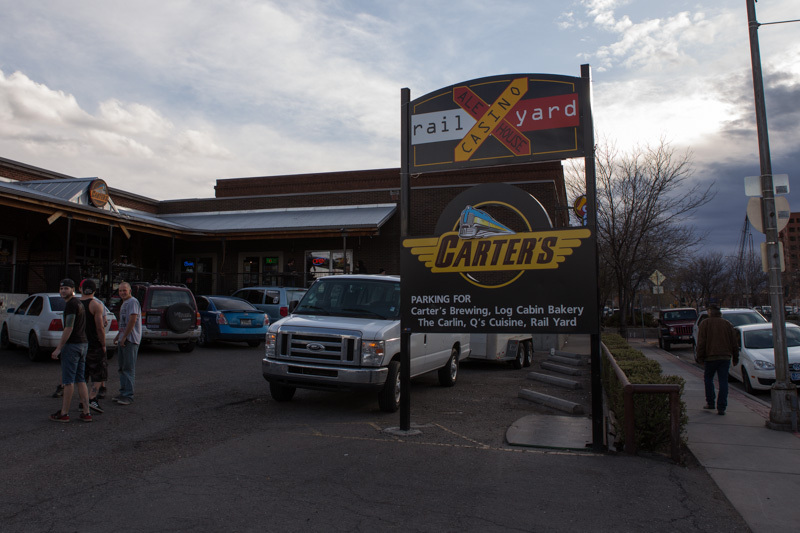 These Montanans do love their warehouse train track locations…and after finishing off the growler, so did I.